The visual piano is an exploration of physical interfaces and how they can provide extra layers of unexpected experience in a subtle way. 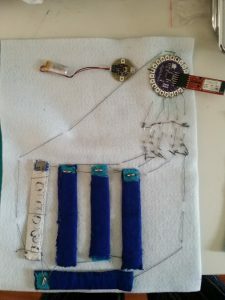 My prototype used texture in a keyboard made of fabric to invite users to explore the textures and as a result, create drawings in a digital canvas. This type of interaction seems to be better suited for immersing users in a new experience, through emotion rather than presenting rational information. 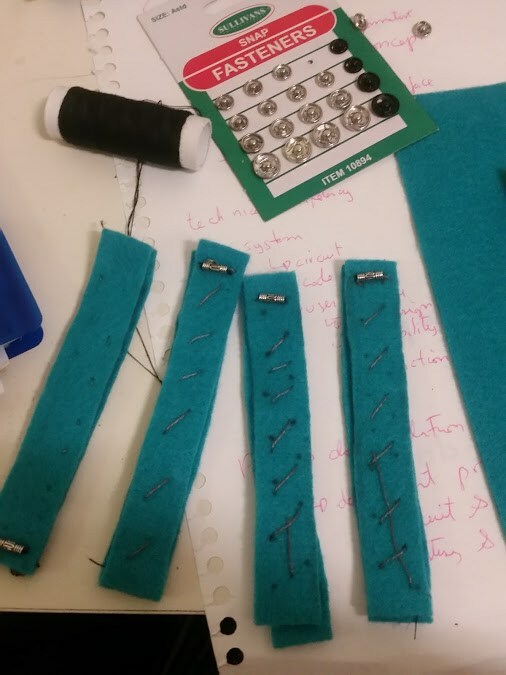 I wanted to use fabric for my prototype to give it a custom made feeling as opposed to mass produced objects. 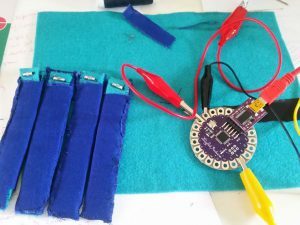 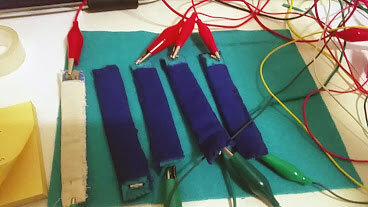 I used fabric, conductive thread and metallic beads to make fabric resistance sensors, following this tutorial. 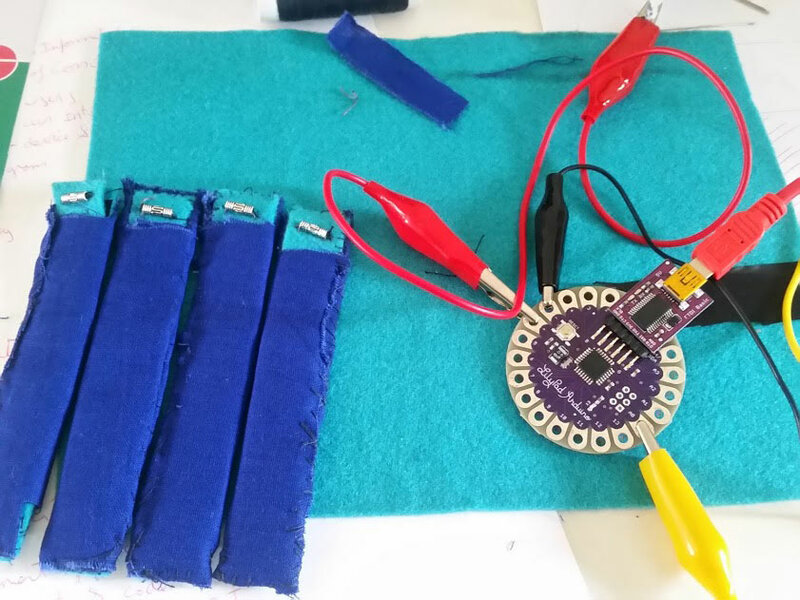 Then connected the sensors to a lilypad and wrote a script on processing that created some basic animations and made them be triggered by the readings from sensors. 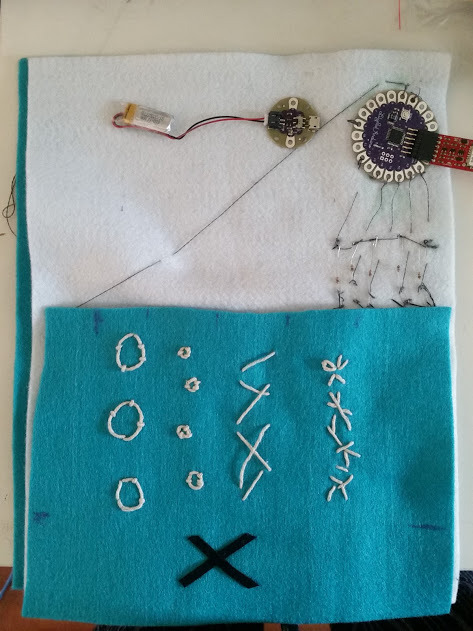 There are four textures available (white thread) and a fifth button the works as a gradual eraser (black thread) I wanted to use materials that would feel different from the ones that we are used to have in industrial products. 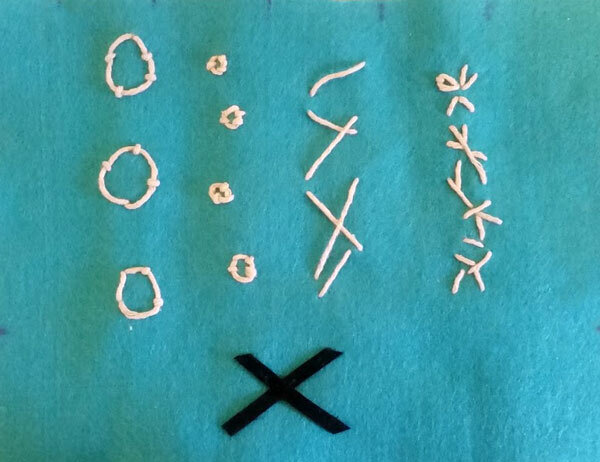 The top textures draw shapes that are similar to the ones made with white thread. The lower button in black, erases gradually the shapes by drawing a new background. 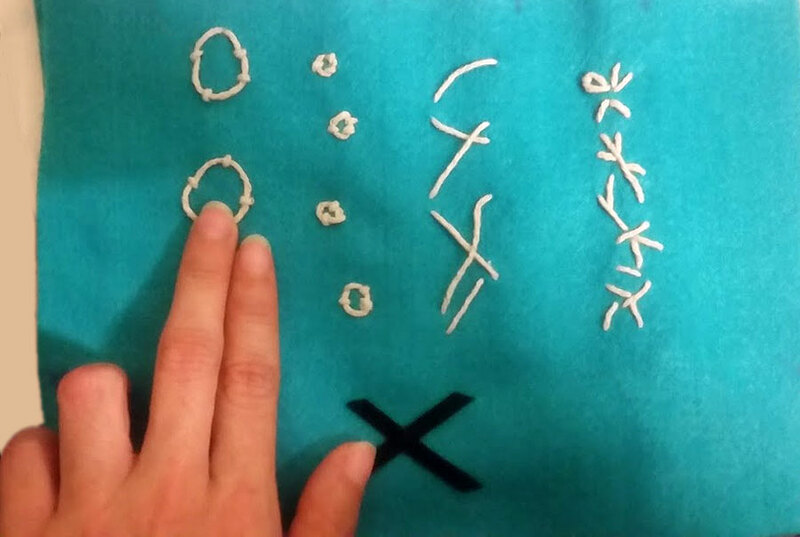 The shapes generated are responsive to the resistance produced by different types of touch.